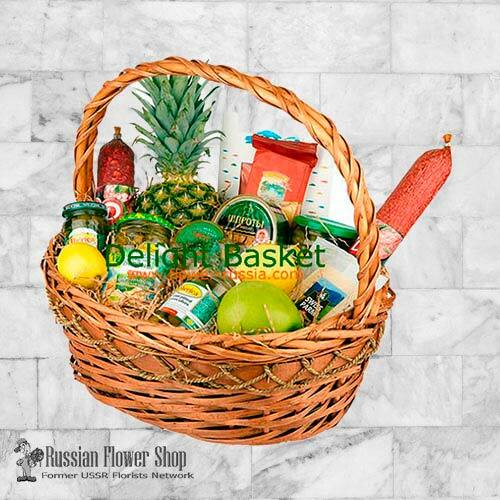 Grapes, pineapple, pears, caviar, olives, candies, tomatoes, cucumbers, cheese, sausage, ham, coffee, tea, salted red fish and marinated vegetables. Please note that the fruit selection may vary by location and availability. Also, if a particular fruit is not available, then it will be replaced with similar value fruits. All of our gift baskets are delivered the same day they are created.